6 Feb 2016 According to its owners it’s a ‘poorly connected’ piece of grass and scrub which they need for executive parking. 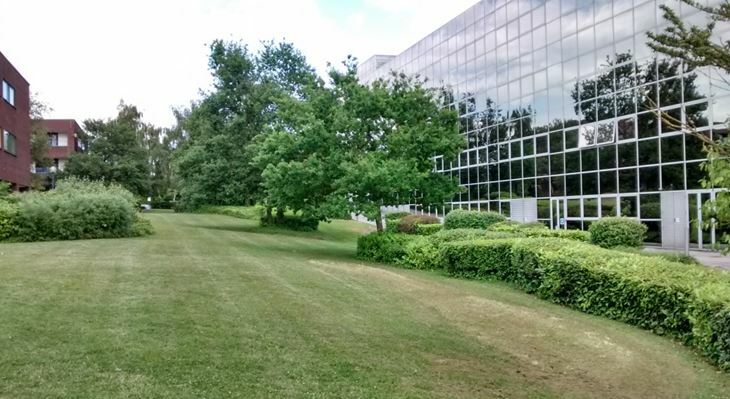 According to ecologists, landscape architects and experts of 20th century architecture, it is part of the living fabric of Britain’s most remarkable New Town – Milton Keynes – and should not be destroyed. 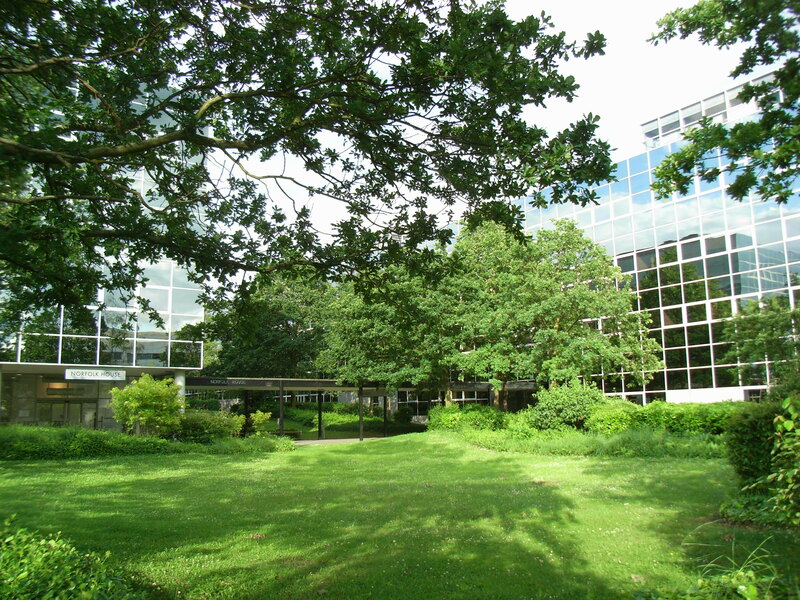 Norfolk and Ashton House was one of the first office developments in Central Milton Keynes. Inspired by the philosophy of Mies van der Rohe this Modernist architecture quietly reflects the life, and landscape, around it. 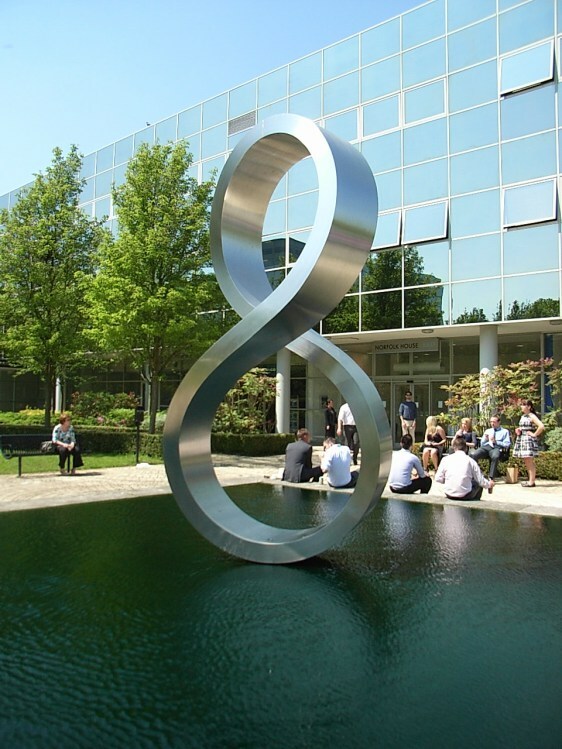 From oak trees in full leaf, to office workers enjoying a break by ‘Octo’, this is one of the most attractive parts of CMK. 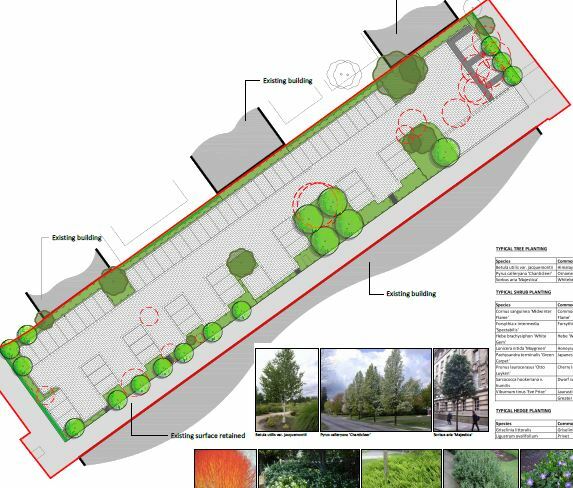 But if the latest planning application goes ahead it will lose two of its three gardens to parking and YMCA residents will look out on tarmac rather than trees. CMK has 25,000 parking spaces – 21,000 on the public highway – more than any comparable town centre in Britain! On a typical weekday there are far more than 68 empty spaces around of Norfolk and Ashton House in the ‘red’ premium rate bays. MK Council manages 21,000 parking spaces in CMK. 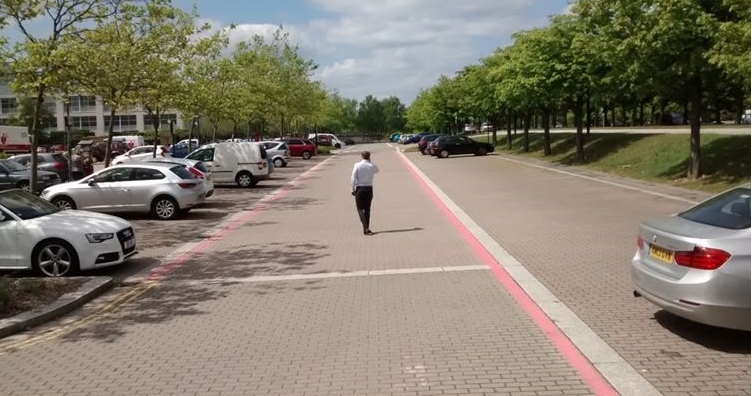 They urgently need to fulfil their promises to work with local businesses and stakeholders to provide better access to all this parking, much of it empty, for employers and staff. The Council’s ecology and senior landscape architect officers say this is a quality landscape which benefits people, wildlife and the environment, and permission should be refused. But ‘on balance’ the planning department decided to recommend approval. MK Council has policies to protect green open space, respect our modern heritage, and make better use of all the public parking in CMK. Xplain supporters are urging them to take the long view and reject these damaging plans. UPDATE: this was approved on 21 July 2016 by 3 votes to 1. Councillors Geary, Bint and Legg voted for it. Councillor Eastman voted against. Please contact Xplain with any questions.